Jim Rankin And The Toronto Star Release "Known To Police"
Toronto Star reporter and photographer Jim Rankin has been instrumental in providing many of the statistics and stories that we cite today when we talk about racial profiling in Toronto. In 2013, Rankin leveraged the power and resources of the Toronto Star to produce "Known To Police," a series of articles that analyzed police data proving the existence of racial profiling in the Metropolitan Toronto Police force. 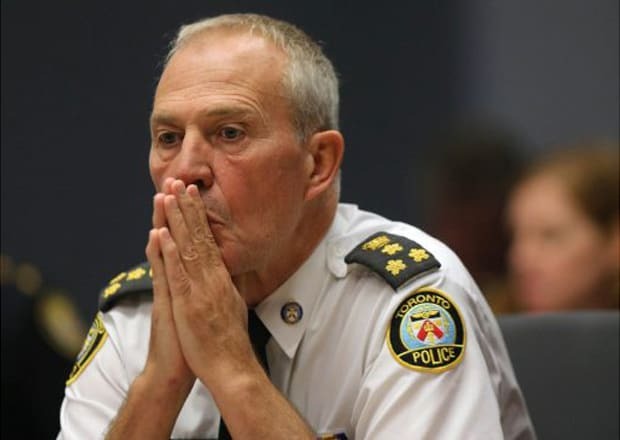 Rankin's work built upon the research and analysis of academics like Dr. Scot Wortley and forced then-Police Chief Bill Blair to admit that the TPS force had a racism problem.